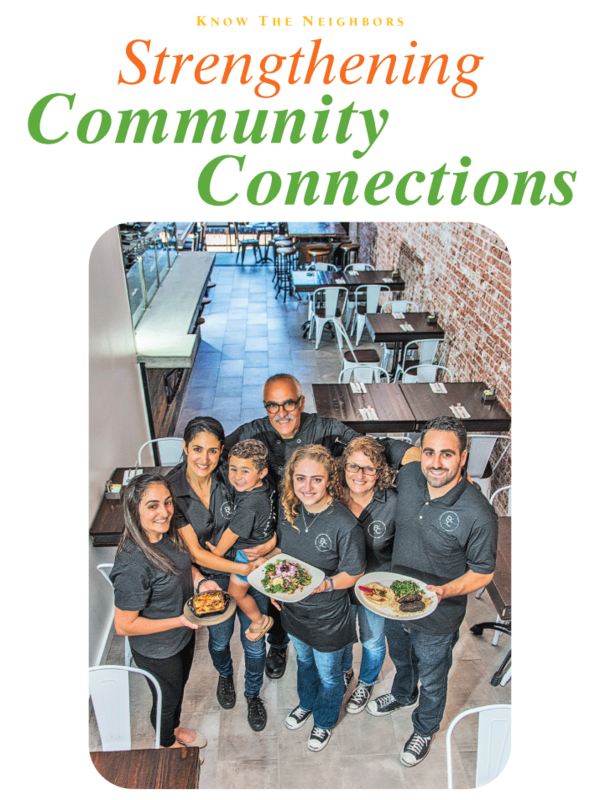 Running Byblos Café is a family affair for the Mahshi family, who have worked together to serve up authentic Mediterranean cuisine in Old Towne since 1989. From left are Tatiana, Tammy with Jayden, Adel, Tasha, Zalfa and Tim. Diners who had the good fortune of eating at the Mahshi family restaurant, Byblos Café, in the Plaza two decades ago, probably dined with their youngest employee, Tasha Mahshi. At the time, Tasha was a toddler in a high chair. All four of the Mahshi children grew up in the restaurant—one of the original eateries in the Plaza, which started as a Middle Eastern grocery store/deli. The oldest, Tammy, was eight when the Mahshis bought the business. The result of this intuitive approach is a restaurant that has become a beloved staple of authentic Mediterranean food. The popular dishes originate from recipes handed down to Adel from his mother and grandmother. They include classics such as falafel, kababs and Shawarma with Hummus & Tabouli. From Zalfa’s side of the family come delectable homemade desserts, like Knafe—shredded filo, special spices and ricotta cheese topped with traditional rose and orange blossom syrup. Many of the specialties created at Byblos are cooked in their eye-catching pita oven, adorned with black and white Moroccan tile. The oven is one element of the newly renovated restaurant. Bill Largeant did the conceptual design, and the remodeling was completed by Adam Feliz of Touchstone Construction Services. Throughout the restaurant are various accents celebrating the family’s heritage, such as bathroom wallpaper featuring the Port of Byblos in Lebanon with Adel’s favorite Bible passage, Psalm 104, verses 12-17.